Throat sweets, such as Strepsils, Lockets and Tunes, are medicated tablets that have been developed to slowly dissolve in your mouth and provide temporary relief from coughs and general irritation of the throat. The good news is that as well as helping to relieve discomfort, they also taste great! Throat lozenges come in a variety of flavours, so whether you prefer raspberry, blackcurrant, honey, lemon or cherry, you'll find something to suit your taste buds. 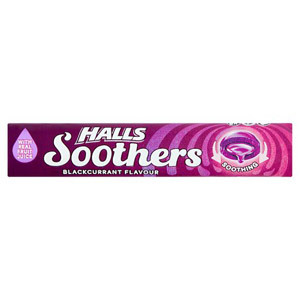 And if you need something with an extra kick that will really clear your sinuses, why not try a pack of our Halls Mentho-Lyptus Extra Strong? They have a powerful minty flavour that will leave you feeling refreshed and will really clear your head. It's best to stock up on lozenges, as you never really know when a cold will strike. Check through the options we have on offer and get a few packs in your shopping cart today!